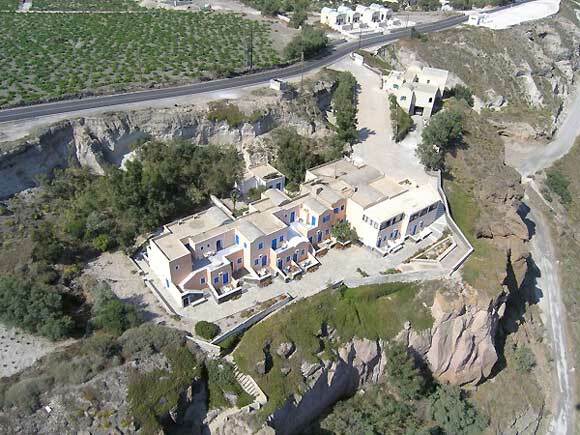 GULIELMOS HOTEL is a very beautiful structure built in the traditional Thera style. 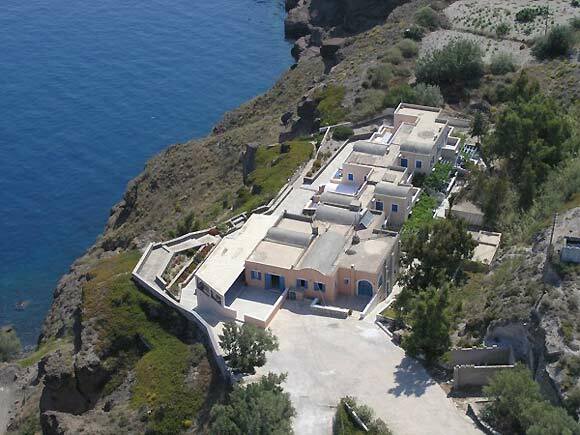 It is located at the southwestern tip of Santorini Island 5 minutes drive from the village of Akrotiri, a village famous for its fish taverns, the lighthouse & the famous archaeological site of Akrotiri. 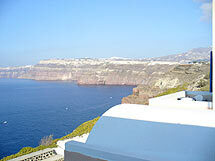 Built upon a rock at the caldera edge Goulielmos hotel offer an amazing view in the caldera bay and the volcano. 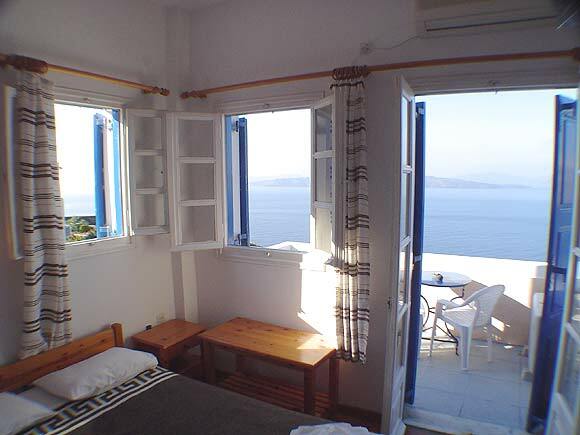 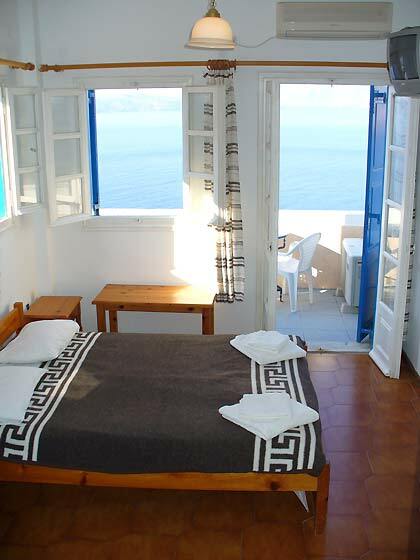 Goulielmos has 28 spacious rooms all with private bathroom, phone, fridge, air-conditioning and balcony with kaldera or garden view. 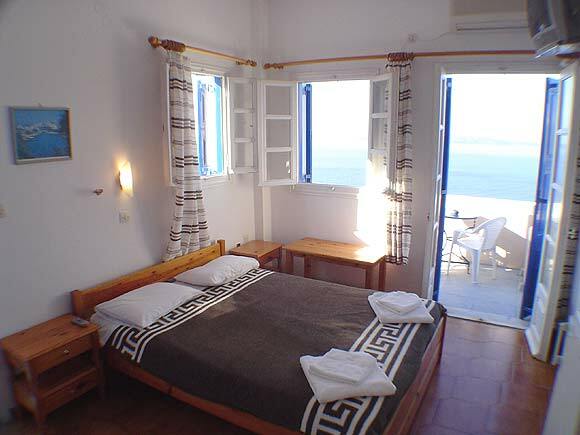 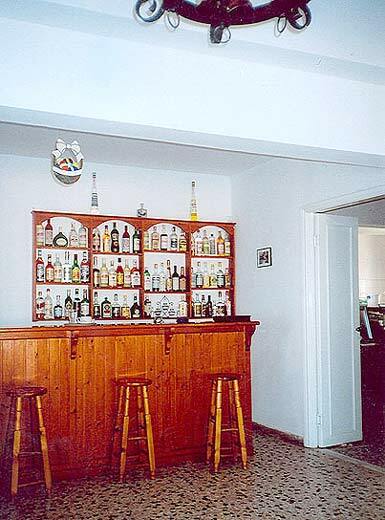 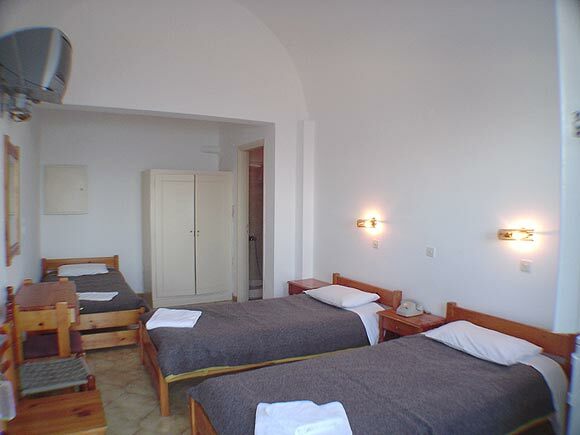 At the Hotel\'s restaurant guests can taste Mediterranean cuisine, all the local recipes (fava, tomatokeftedes) and of course the famous local homemade wine. 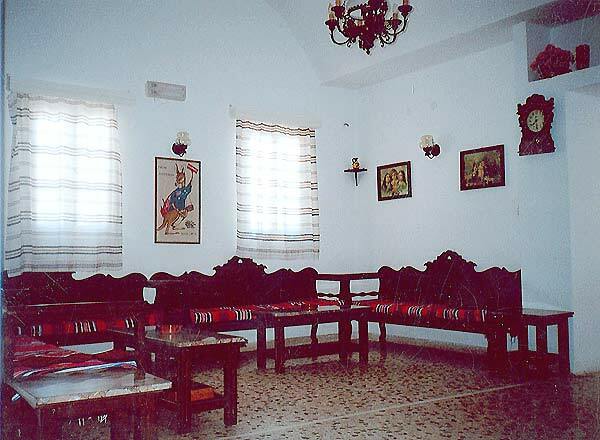 The reception area is spacious and has a TV room available for the guests. 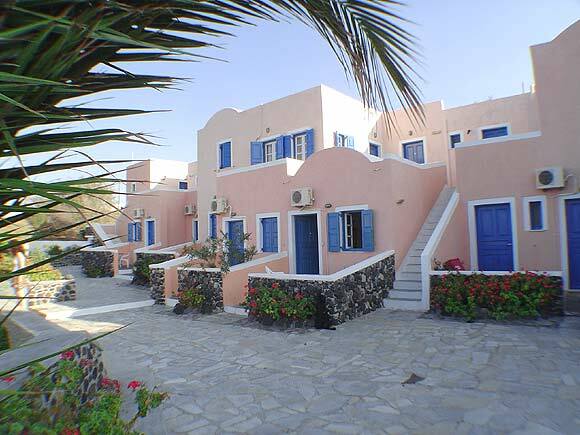 A private road is leading to a beautiful beach where besides the sun offers and soothing shadow. 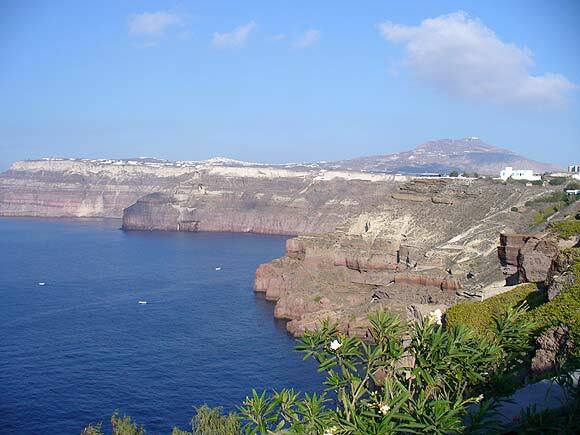 There is regural bus transport to all the seasides, beaches and the villages of the island. 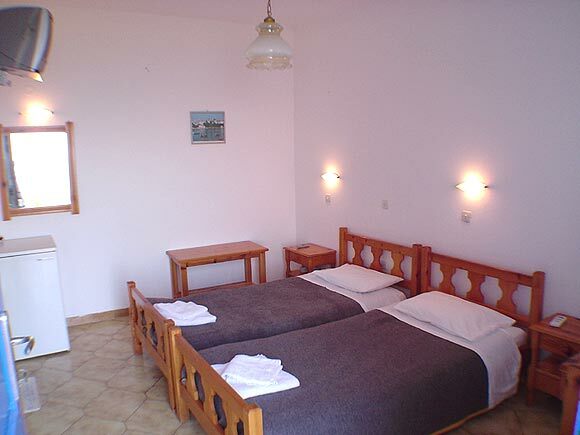 GOULIELMOS HOTEL is emanating family atmosphere and it is the ideal place for someone to enjoy the natural life of the island. 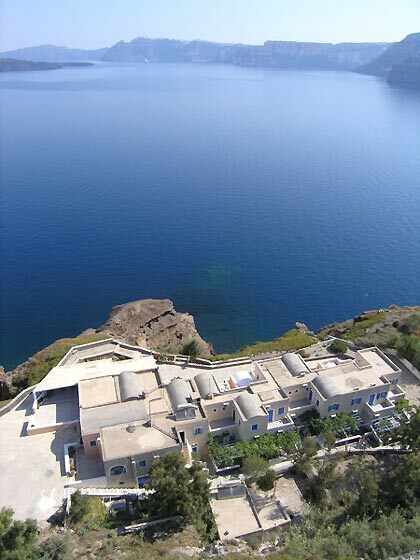 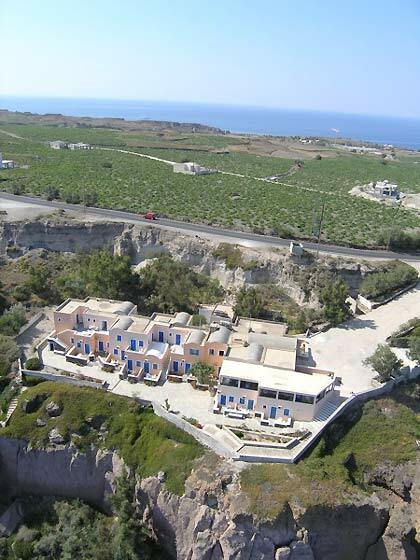 Akrotiri village, on the Caldera overlooking the Volcano. 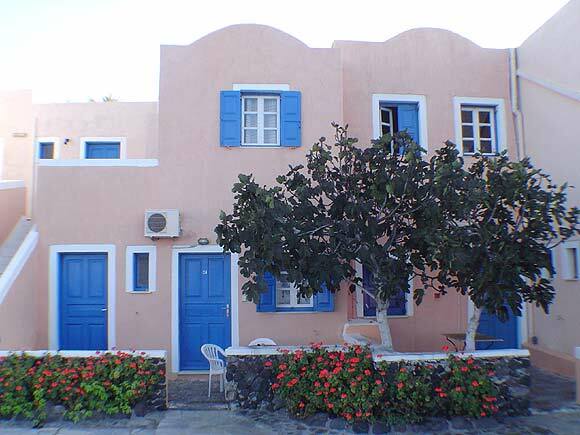 Near by are Fish Taverns & the beach. 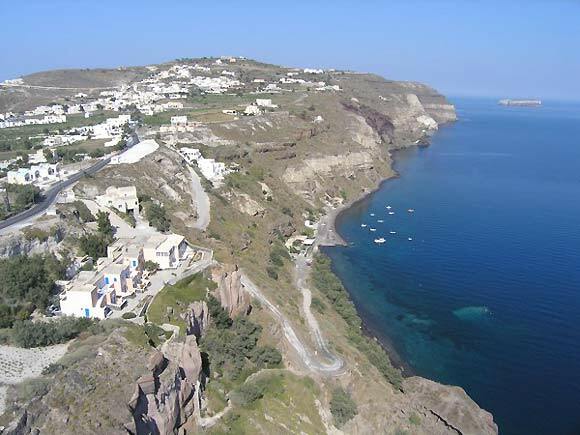 Local buses offer regular services to alternative beach areas, Fira the island capital & other villages.